Pre employment screening is relied upon by nearly 80% of corporate America – and for good reason. 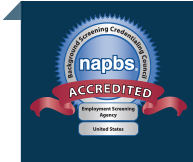 According to the U.S. Small Business Administration, every dollar invested in employment screening can result in a $5 – $16 return on investment, stemming from higher productivity, lower absenteeism, a decrease in turnover, and less risk of employer liability. In fact, a recent study we conducted found that a mid-sized company with 10,000 employees and 500 annual hires can reduce their liability from $3,110 to just $300 per hire—for a mere $50 investment in background screening. That’s a hard ROI to beat! However, before you embark on a background screening program for your company, consider these dos and don’ts. 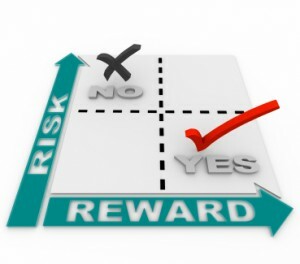 The first and most important step in pre employment screening? Obtain applicant consent. This isn’t just our advice—it’s also the law, as outlined by the Fair Credit Reporting Act (FCRA). You must make applicants aware that they will be subject to a pre employment background check, and the candidate/employee must sign a written consent form before you conduct the screen. Fair employment laws require that you only make hiring decisions based on job-related capabilities. Therefore, avoid bright line “no criminal record” policies. Often, old and non-serious convictions have little or no bearing on a person’s ability to fulfill the job obligations. Related to the above “don’t,” do establish a clear link between the items you’re screening for in the background check and the job duties. Understand what you “need to know” and what could potentially violate an individual’s privacy rights or cause unfair discrimination. With today’s transient workforce, it’s wise to conduct criminal searches on a national level and now it’s easier than ever before through instant databases. But don’t stop there. Always back up your national search with a local-level search to verify the results at the local court level. Otherwise, you’ll risk making decisions on old or potentially inaccurate information. Make it clear—in writing—your background screening policy. Detail what types of screens your regularly conduct, how, and the information you’re screening for. Make sure you include federal, state, and local laws in your guidelines. Additionally, make it clear how you’ll apply your background screening results. Another way to help keep your company within legal grounds and promote fair hiring? Apply your policy consistency. For example, for individuals applying to the same position, make sure you use the same type of background check on everyone and that you use the same criteria for judging the results. Everyone who works for your company—everyone! – should undergo a background screen. Remember—you’re most likely to be held liable for anyone who is on your books whether they are an employee or a subcontractor. Especially when they do something wrong. The key to gaining a complete picture of a candidate? Take a holistic view by conducting a background check that involves a number of different looks, rather than just one. For example, if you use criminal background checks, also consider adding employment verifications, reference checks, and possibly even credit checks, drug screening or other job-related checks. Social media—it’s tempting—and mostly legal when investigating a candidate or employee. However, what you find and how you apply the information you uncover is what can get you in trouble. For a detailed discussion on social media and background screening, see social media for employment screening. Bottom line—look at the laws. FCRA, ADA, and other employment laws are complex and specific, and to protect your company, you need to ensure you’re operating under full compliance. Consult your employment attorney. A reputable, qualified background screening firm can help guide you through the logistics and complexities of background screening. Moreover, the cost of working with employment screening services is less or equal to the cost you’d pay to have your staff attempt to design and implement a screening program on your behalf. Avoid the headaches and get the most value from your pre employment screening program by hiring a qualified provider.